Creating a custom build in any part of your home adds character and comfort. Using the rooms space efficiently can help maintain an organized home office, kitchen or living room; just to name a few. Take a look at one of our client’s custom builds in their home office and get ideas for your next project. One client recently bought a three bedroom house and wanted to convert one of the bedrooms into an office. 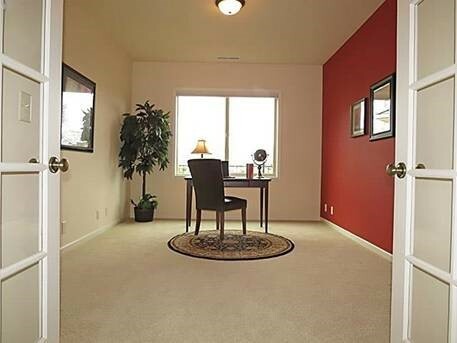 This room happened to have a window that looked out to a pond on the other side of the street. With this in mind, the home owner really wanted a window seat, and the office built around that central feature. This efficient, space saving design worked out just right! 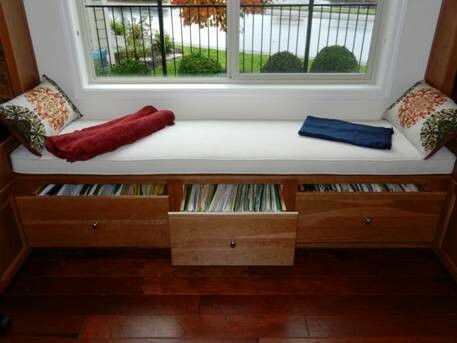 Corner book shelves were furnished to add storage and connect the window seat to the desks. The home owners wanted the desks lower than the average height and with this custom project they were able to get that at the exact height they requested. Also, we were able to create a custom cabinet for all of their electronic devices and hookups. Incorporating the filing cabinets with the window seat we were able to save space in this office designed for two people with easy accessibility while sitting at their desks. The filing cabinets in this office ended up being one of the home owners favorite features! 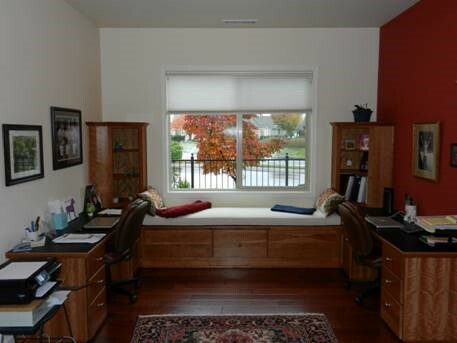 “Castile Construction was great to work with [converting a bedroom into an office]. Forrest knows his business. He and his crew go way beyond the extra mile. We really appreciated that as well as the quality of the work done. Great company to work with.” See more from Ginny of Eugene’s North Gilham area and other Customer Testimonials here. When talking with us about your next custom project, let’s discuss your dreams and vision, and we will build it better then you ever imagined. Castile Construction is Certified in Universal Design through the National Association of Remodelers (NARI). This furthers our commitment to helping design your Remodel vision to completion. Contact Castile Construction today to begin your next custom project!